There are many business magazines in publication today, but few hold our attention like Dollhouse Mags of any variety. ...Covers numerous topics for collectors as well as novice enthusiasts. They make it interesting for readers as well as collectors. Readers you say? Why yes readers. These days some of us do not read often. We, on the internet, scan because we are in a hurry usually. But then there are people who simply love reading. So in this particular magazine there are plenty of articles to simply read and fill your mind with. Plus projects that get the creative easily motivated. They however do not stop there. They cover an advice column that this writer/enthusiast wishes she had previous issues of. Yes they covered what else? ....the assembly of a miniature kit! Oh well if one wants older issues they do provide these as well on their magazine back issues page. Prices for its monthly publication are as follows: UK 12 Issues - £43.09. ...Are that they can be read online from anywhere in the world. They are all classified as digital publications. Also, they are all produced by the same publishing company. Imagine being captivated by your favourite mag and then travelling, say, to a tropical resort with computer-like device in hand and, by the pool, reading your awesome magazine online. We are becoming so technological in our society where business magazines are concerned. 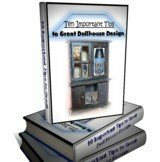 Including in our dollshouse hobbies.... as Amazon's Kindle demonstrates to us everyday. Check out the kindle with this convenient link. Now that's progress! Variety of iMag samples, click on "View Free Example" at the bottom of any magazine selection. So these publications are definitely for the sect of our population on the go, go, go. They contain all the fantastic info we all love as collectors and mini enthusiasts. Priced at between $20 and $40 for access to their iMag for a year they offer a huge savings where subscriptions are concerned. They may be worth a check out for those that are on the go, curious, have never tried anything like it before or for those, like us, that just plain love minis! Features major info on what else "miniatures", but they don't stop there. They feature much about the artists and creators of miniatures. With in depth articles about their chosen artists of the month. Miniature and Collector Shows are listed in the back. Giving a great calendar for each event with the times and places outlined. Advertised entries in red. So this is simply a great business magazine for collectors as well as dollshouse business entrepreneurs. It also lists over 50 added resources and websites in the back. These in themselves could be just what you are looking for if you are wanting to seek out a new miniature source. Think like an explorer when viewing even larger design patterns and always be asking yourself, "could I miniaturize that item?" If so... calculate your measurements, look for the right construction material, plan your mini, set aside construction time and voila... your done. Your Project in Miniature - Complete! Subscription Prices as follows: $39.95 U.S./ 1 yr, 12 issues.